Staff Recommendation: The elusive figure of Mata Hari is the quarry hunted by this novel, the events of her unconventional life revealed in tantalising glimpses and historical vignettes. Young Margaretha Zelle enters into marriage after answering a lonely hearts advertisement and is swiftly transported from The Hague to Indonesia, where she finds herself unsuited to life with an army captain twice her age. Seeking a fresh start in Paris she reinvents herself as an exotic dancer with the stage name Mata Hari. As she is courted by military and political admirers she finds another role to play; that of the spy. As the novel progresses the gauzy veils of Mata Hari’s persona lose their power to protect her from the harsh realities of the First World War. 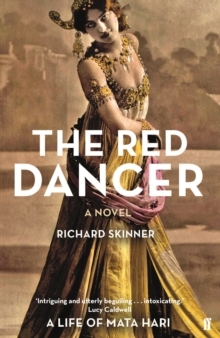 The Red Dancer is an enjoyably intriguing read.